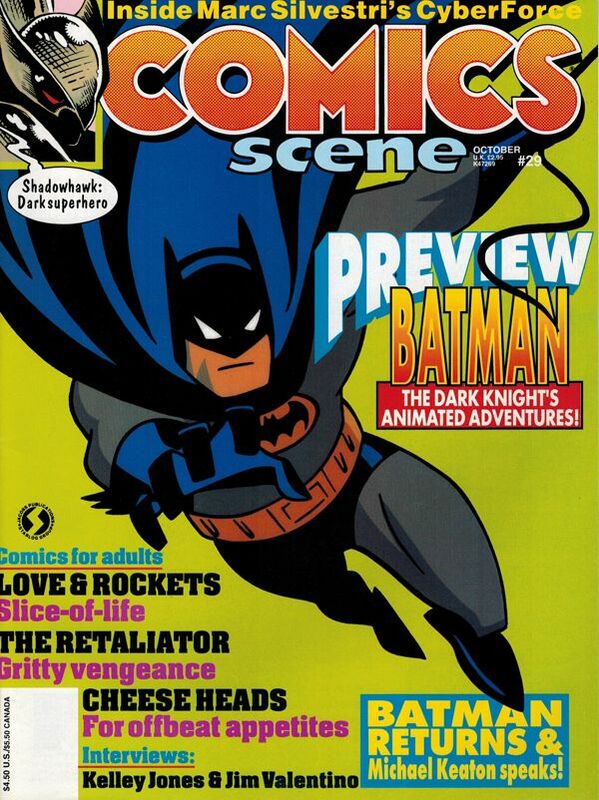 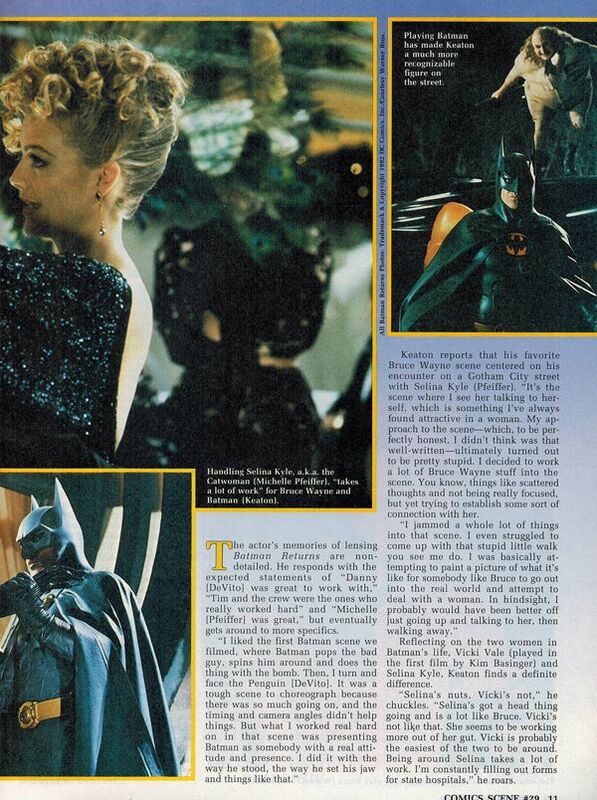 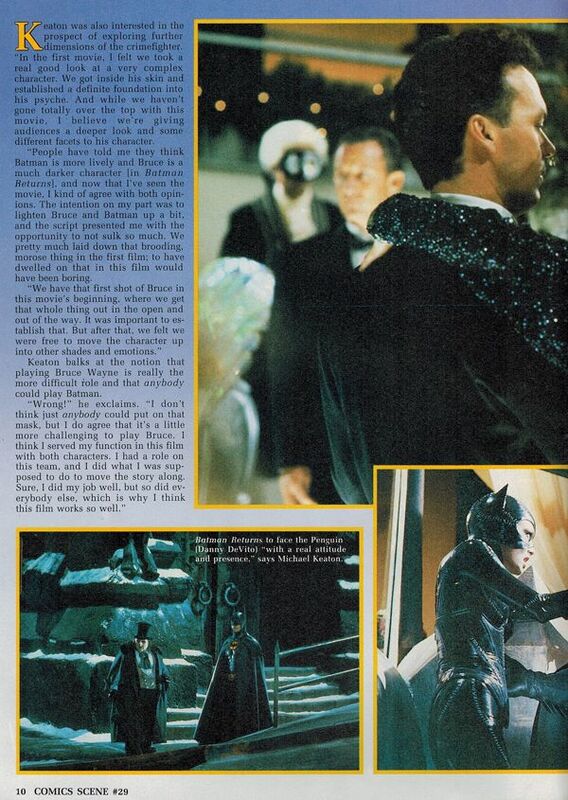 Today's magazine post features one of my favorite Batman Returns interviews. 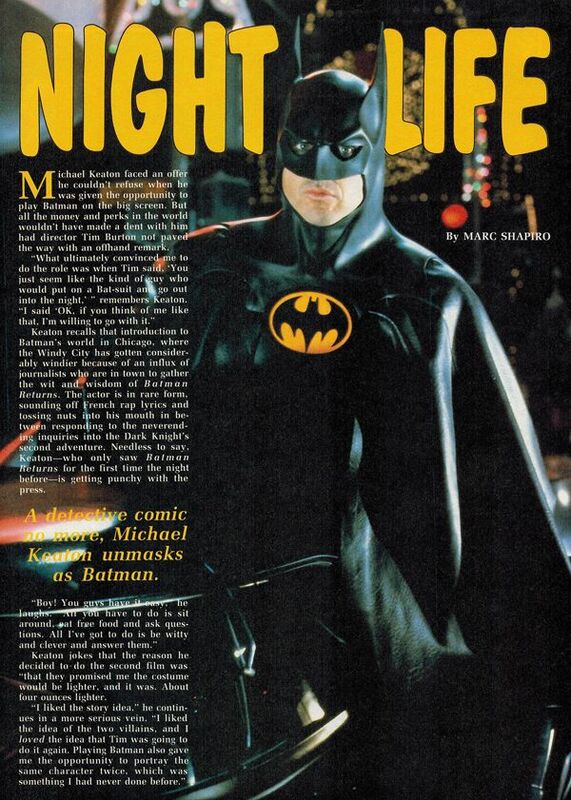 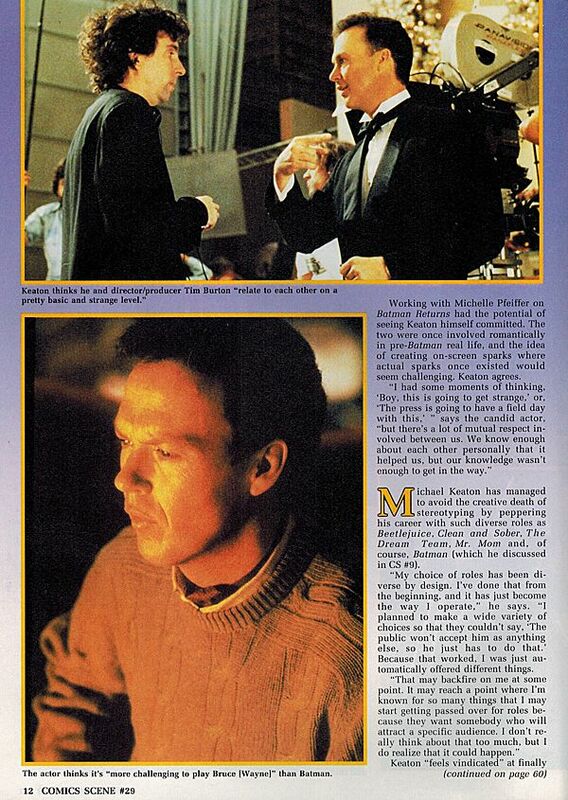 In the article entitled "Night Life", Michael Keaton shares his thoughts on returning to Bruce Wayne/ Batman. 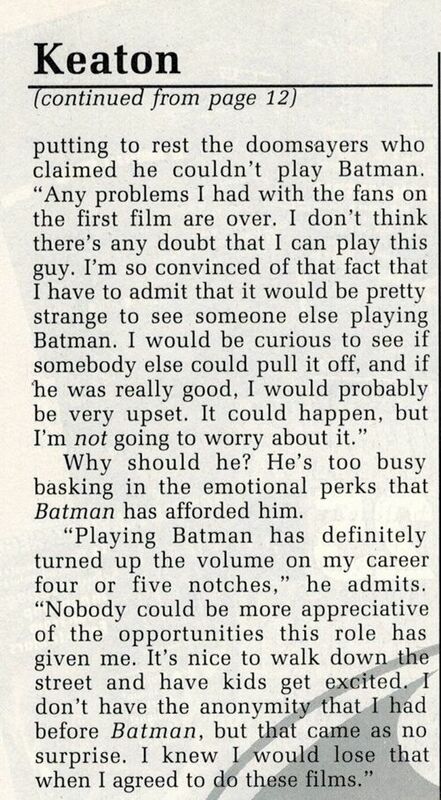 Find out what brought him back, his favorite scene, and his hopes for a possible third outing as Batman!